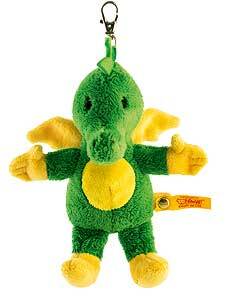 (We have displayed Steiff Tabaluga Dragon Keyring Pendant 024344 for historical archive reference only). 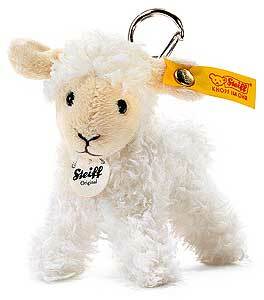 (We have displayed Steiff Lamb Pendant Keyring 112386 for historical archive reference only). 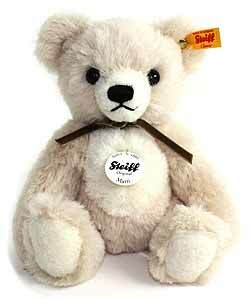 (We have displayed Steiff Classic Jonathan MacBear Teddy Bear 000997 for historical archive reference only). 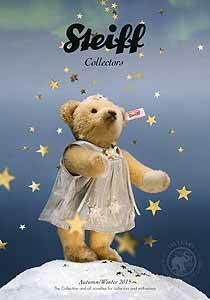 (We have displayed Steiff Spring 2017 Collectors Catalogue 915840 for historical archive reference only). 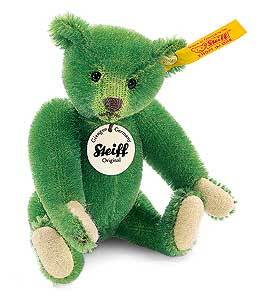 (We have displayed Steiff Miniature Teddy Bear - green tipped 040269 for historical archive reference only). 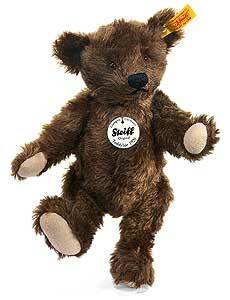 (We have displayed Steiff Matti Classic Teddy Bear 000287 for historical archive reference only). 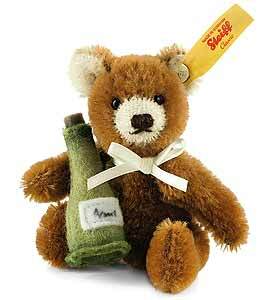 (We have displayed Steiff Mini Champagne Bottle Teddy Bear 028908 for historical archive reference only). 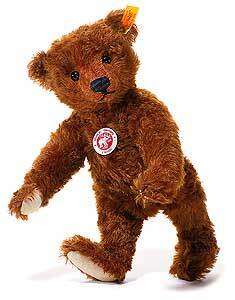 (We have displayed Bearry Masterpiece Classic Bear Cub by Steiff 041495 for historical archive reference only). 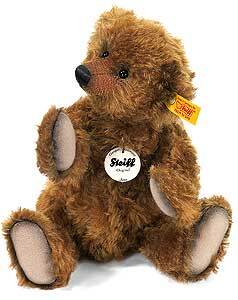 (We have displayed Steiff Classic 35cm Soft Dark Blond Teddy Bear 039683 for historical archive reference only). 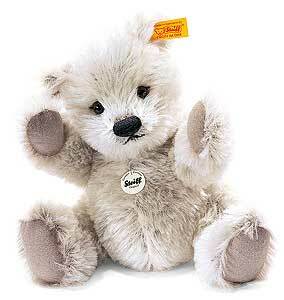 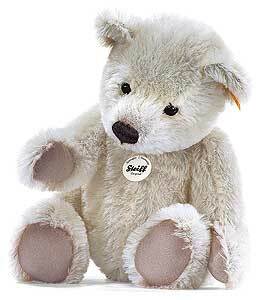 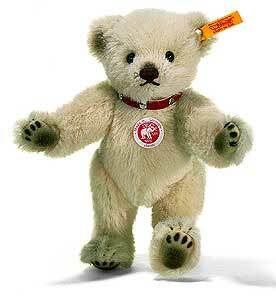 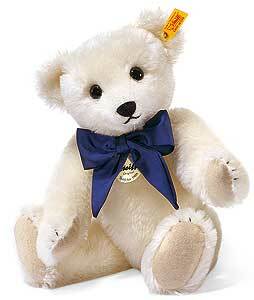 (We have displayed Bjorn Classic Teddy Bear by Steiff 000348 for historical archive reference only). 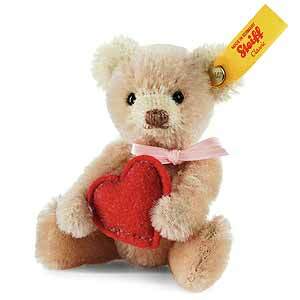 (We have displayed Mini Heart Classic Teddy Bear by Steiff 028915 for historical archive reference only). 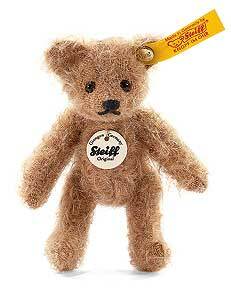 (We have displayed Steiff Dolly Mini Teddy Bear 006463 for historical archive reference only). 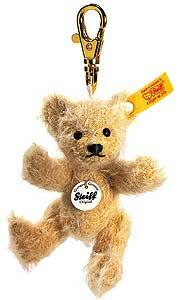 (We have displayed Steiff Monkey Pendant Keyring 112263 for historical archive reference only). 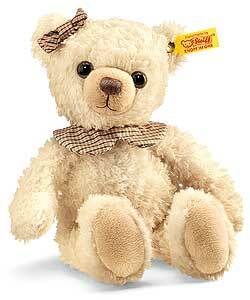 (We have displayed Honey Classic Teddy Bear by Steiff 040146 for historical archive reference only). 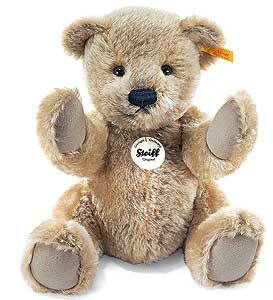 (We have displayed Steiff 1920 Replica Classic 25cm Cream Teddy Bear 000645 for historical archive reference only). 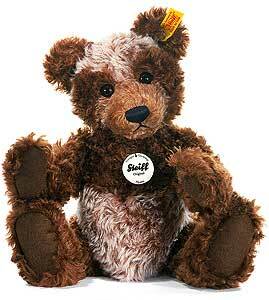 (We have displayed Brownie Classic Teddy Bear by Steiff 026980 for historical archive reference only). 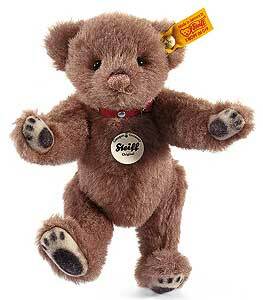 (We have displayed Mini Classic Teddy Bear by Steiff 028892 for historical archive reference only). 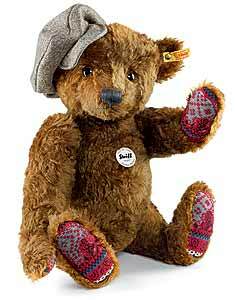 (We have displayed Steiff Matti Classic Teddy Bear 027253 for historical archive reference only). 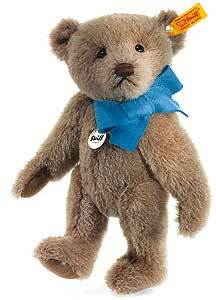 (We have displayed Classic Andy Teddy Bear by Steiff 027185 for historical archive reference only). 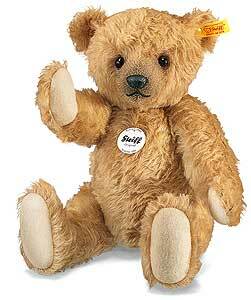 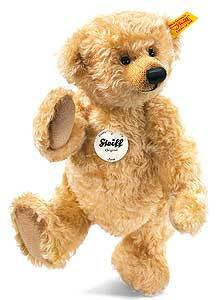 (We have displayed Olly Classic Teddy Bear by Steiff 000409 for historical archive reference only). 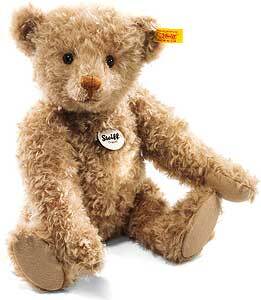 (We have displayed Steiff Classic 1906 Teddy Bear 35cm - Cinnamon gold 000102 for historical archive reference only). 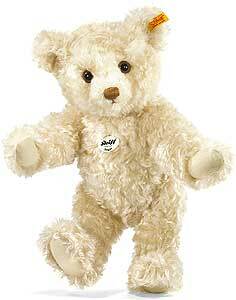 (We have displayed 1920 Classic 35cm Cream Teddy Bear by Steiff 000669 for historical archive reference only). 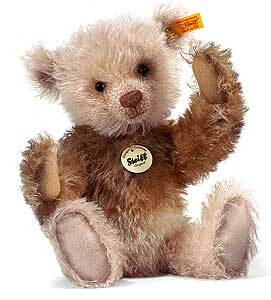 (We have displayed Steiff Miniature Teddy Bear - russet 040252 for historical archive reference only). 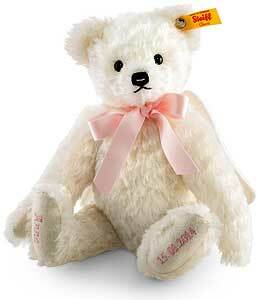 (We have displayed Steiff Personalised Guardian Angel Teddy Bear - Pink 001710 for historical archive reference only). 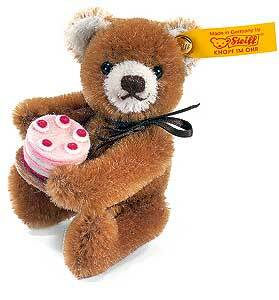 (We have displayed Cookie Classic Teddy Bear by Steiff 026966 for historical archive reference only). 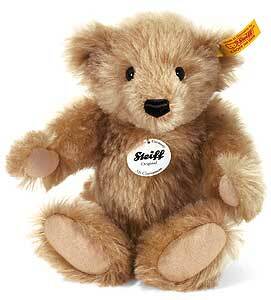 (We have displayed Steiff Classic 1909 Teddy Bear 35cm - vanilla 000126 for historical archive reference only). 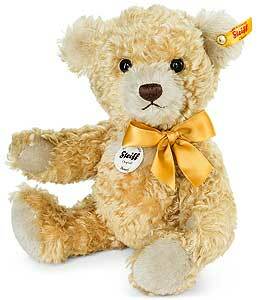 (We have displayed Steiff Clara Teddy Bear - 23cm blond 012358 for historical archive reference only). 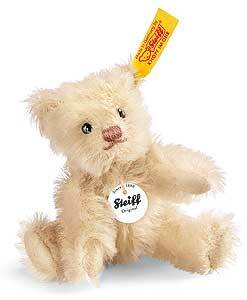 (We have displayed Steiff Petsy 35cm Cream Teddy Bear 012471 for historical archive reference only). 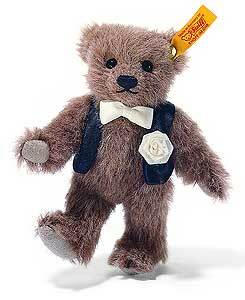 (We have displayed Steiff Miniature Teddy Bear - aubergine 040276 for historical archive reference only). 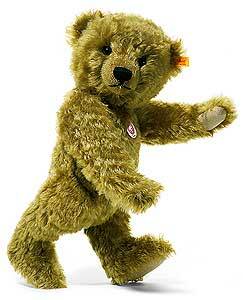 (We have displayed Oliver Classic Teddy Bear by Steiff 000324 for historical archive reference only). 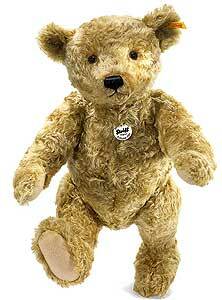 (We have displayed Desmond Teddy Bear by Steiff 035173 for historical archive reference only). 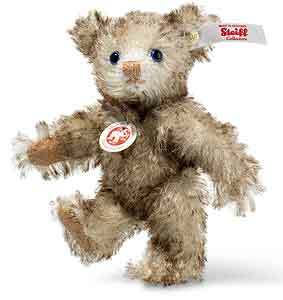 (We have displayed Steiff Classic 1909 Teddy Bear 35cm - beige 000140 for historical archive reference only). 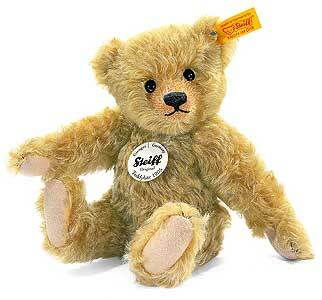 (We have displayed Steiff Classic 1909 Teddy Bear 25cm - beige 000133 for historical archive reference only). 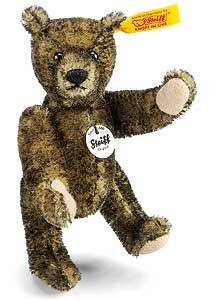 (We have displayed Classic Jack Teddy Bear by Steiff 027246 for historical archive reference only). 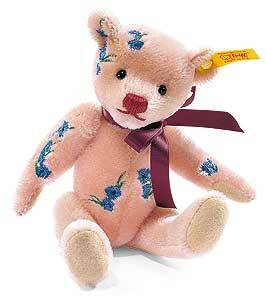 (We have displayed Classic Amy Teddy Bear by Steiff 027192 for historical archive reference only). 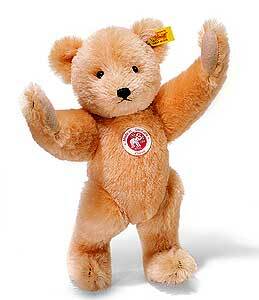 (We have displayed Classic 25cm Russet Soft Teddy Bear by Steiff 039911 for historical archive reference only). 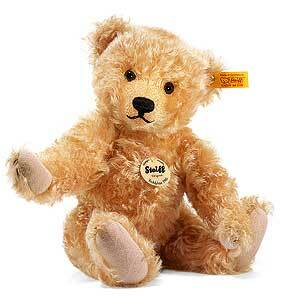 (We have displayed Classic 25cm Caramel Teddy Bear by Steiff 027642 for historical archive reference only). 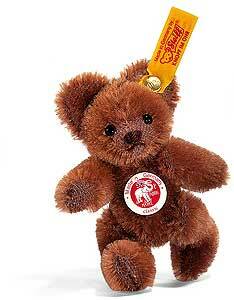 (We have displayed Brass Classic Teddy Bear by Steiff 000485 for historical archive reference only). 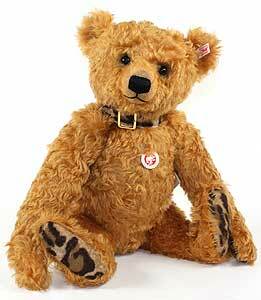 (We have displayed 1905 Classic 30cm chestnut Teddy Bear by Steiff 004803 for historical archive reference only). 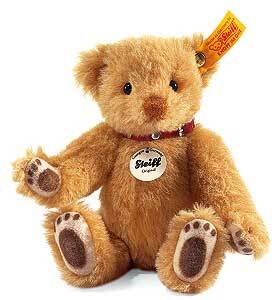 (We have displayed Steiff 1906 Teddy Bear 25cm - Cinnamon gold 000119 for historical archive reference only). 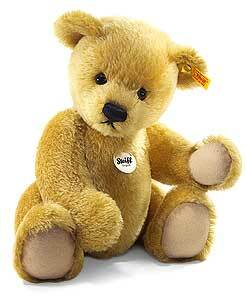 (We have displayed Classic GINNY Teddy Bear by Steiff 027772 for historical archive reference only). 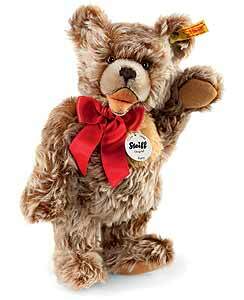 (We have displayed Classic SUGAR Teddy Bear by Steiff 027017 for historical archive reference only). 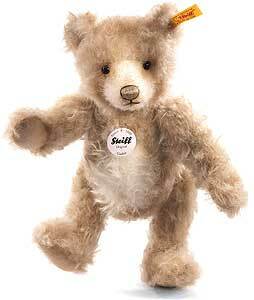 (We have displayed Classic 42cm Brass Teddy Bear by Steiff 004810 for historical archive reference only). 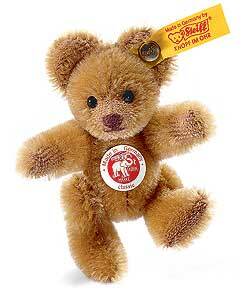 (We have displayed Cherry Classic Teddy Bear by Steiff 026973 for historical archive reference only). 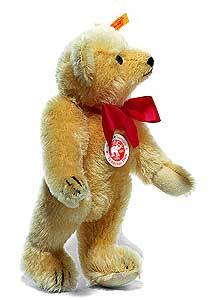 (We have displayed 1905 Classic 30cm Blond Teddy Bear by Steiff 004834 for historical archive reference only). 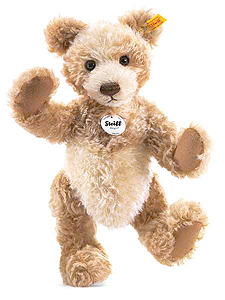 (We have displayed Classic MORITZ Teddy Bear by Steiff 027536 for historical archive reference only). 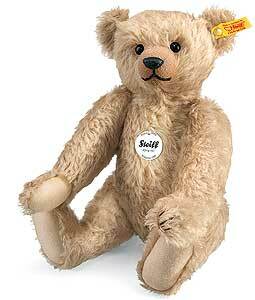 (We have displayed Classic 25cm Mohair blond growling teddy bear by Steiff 011719 for historical archive reference only). 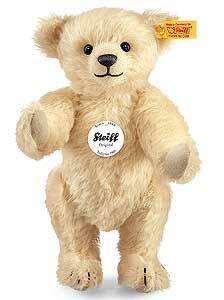 (We have displayed 1909 Classic 51cm blond Teddy Bear by Steiff 000539 for historical archive reference only). 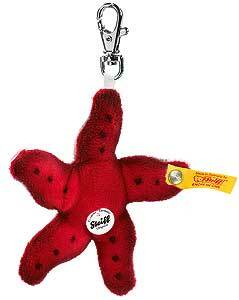 (We have displayed PICCY Starfish Keyring by Steiff 112171 for historical archive reference only). 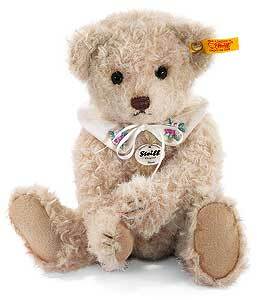 (We have displayed 1905 Classic 22cm Cream Teddy Bear by Steiff 004827 for historical archive reference only). 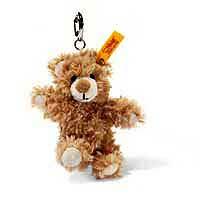 (We have displayed Mohair Coffee Mini Teddy Bear Keyring by Steiff 039096 for historical archive reference only). 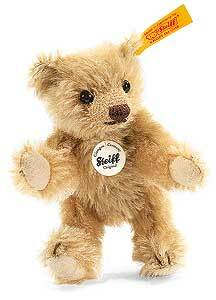 (We have displayed Steiff 1909 Teddy Bear 25cm - vanilla 000157 for historical archive reference only). 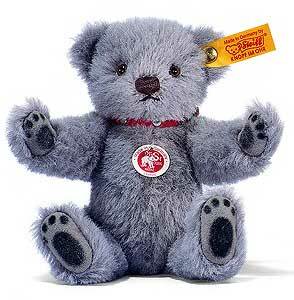 (We have displayed Classic 18cm Alpaca Blue Teddy Bear by Steiff 039171 for historical archive reference only). 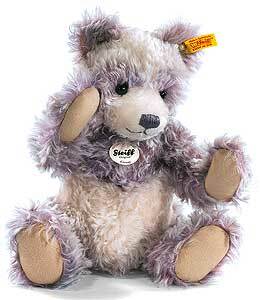 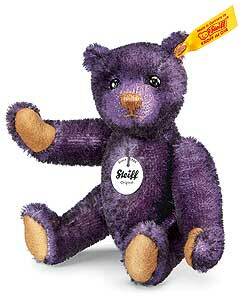 (We have displayed Classic GINNY Violet Teddy Bear by Steiff 027499 for historical archive reference only). 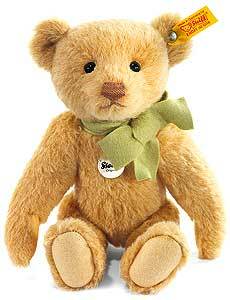 (We have displayed Classic 18cm Blond Alpaca Teddy Bear by Steiff 027741 for historical archive reference only). 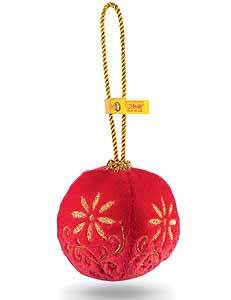 (We have displayed Plush Classic Christmas Bauble by Steiff 028885 for historical archive reference only). 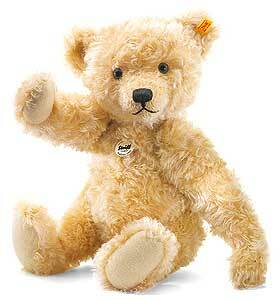 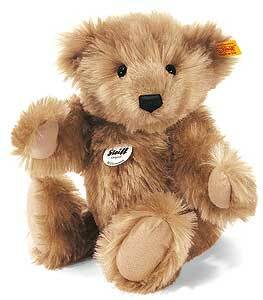 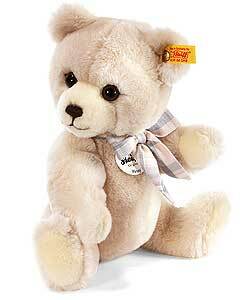 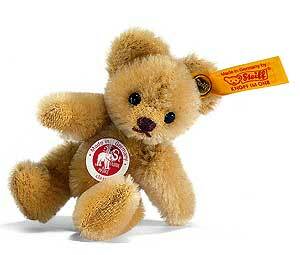 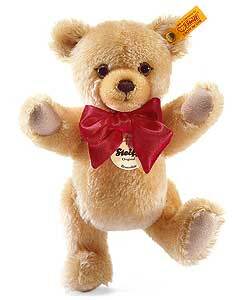 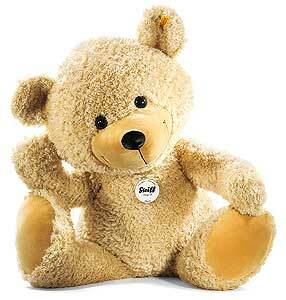 (We have displayed Caramel Classic Teddy Bear by Steiff EAN 000454 for historical archive reference only). 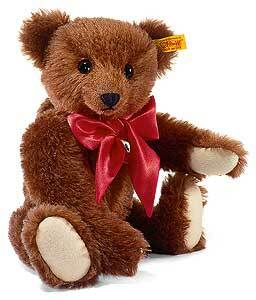 (We have displayed 1905 Classic 22cm chestnut Teddy Bear by Steiff 004865 for historical archive reference only). 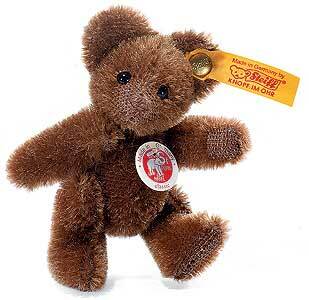 (We have displayed 1920 Classic 35cm dark brown Teddy Bear by Steiff 000812 for historical archive reference only). 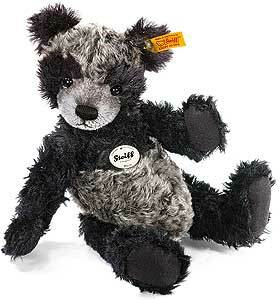 (We have displayed 1912 Classic 22cm Black Teddy Bear by Steiff 039997 for historical archive reference only). 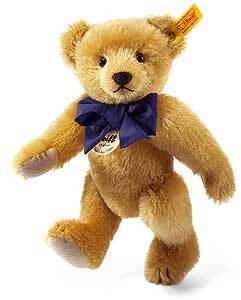 (We have displayed 1909 Classic 35cm gold teddy bear by Steiff 000508 for historical archive reference only). 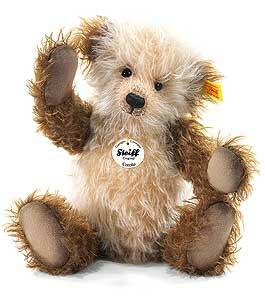 (We have displayed Classic Teddy bear PETSY by Steiff 037559 for historical archive reference only). 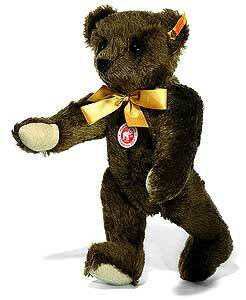 (We have displayed 1905 Classic 30cm Brass Teddy Bear by Steiff 004858 for historical archive reference only). 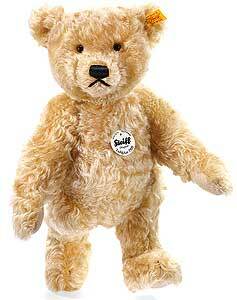 (We have displayed 1909 Classic 51cm Anniversary Teddy Bear by Steiff 000522 for historical archive reference only). 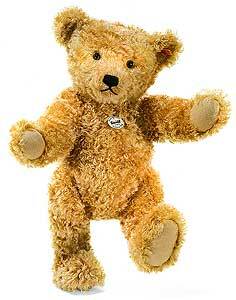 (We have displayed 1909 Classic 25cm brass teddy bear by Steiff 000614 for historical archive reference only). 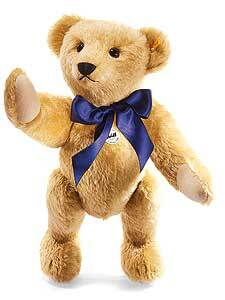 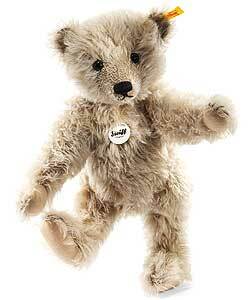 (We have displayed Classic JONA blond Teddy Bear by Steiff 001079 for historical archive reference only). 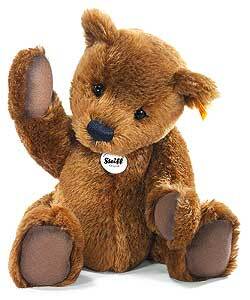 (We have displayed Classic 35cm Russet soft Teddy Bear by Steiff 039928 for historical archive reference only). 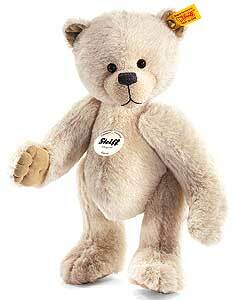 (We have displayed Classic 18cm cream Teddy bear by Steiff 027680 for historical archive reference only). 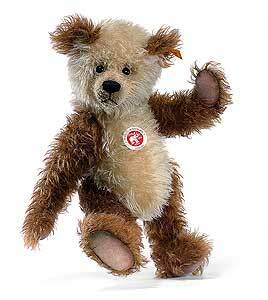 (We have displayed Classic RICO Teddy Bear by Steiff 027482 for historical archive reference only). 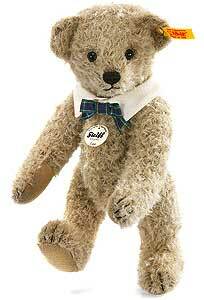 (We have displayed Classic Rocky Teddy Bear by Steiff 027338 for historical archive reference only). 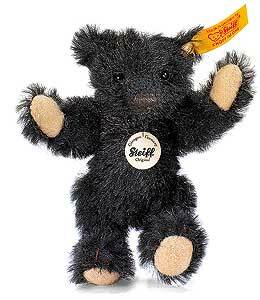 (We have displayed Classic 18cm black Alpaca Teddy bear by Steiff 027703 for historical archive reference only). 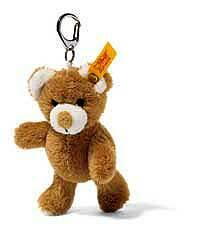 (We have displayed Mohair Russet Mini Teddy Bear Keyring by Steiff 039003 for historical archive reference only). 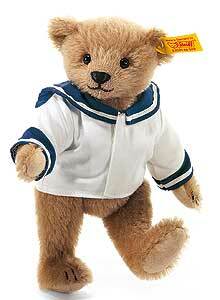 (We have displayed Classic Robby Teddy Bear by Steiff 027291 for historical archive reference only). 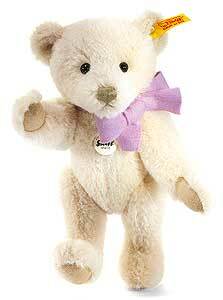 (We have displayed Classic Mimi Teddy Bear by Steiff 027215 for historical archive reference only). 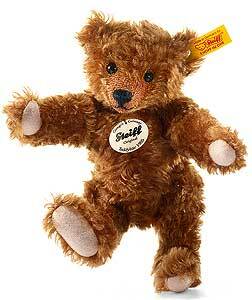 (We have displayed HANNES Classic 24cm Teddy Bear by Steiff 027604 for historical archive reference only). 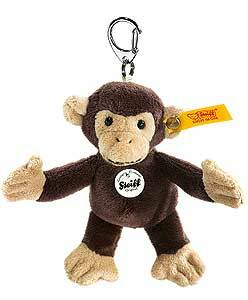 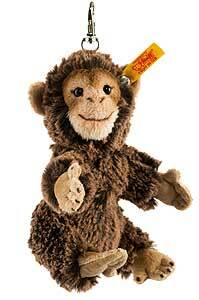 (We have displayed Monkey Keyring by Steiff 112119 for historical archive reference only). 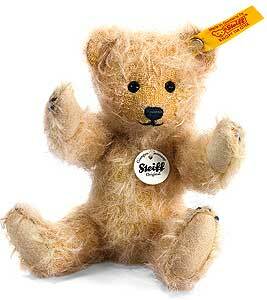 (We have displayed Classic Miniature Teddy Bear by Steiff 040085 for historical archive reference only). 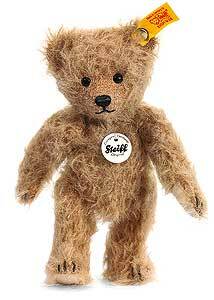 (We have displayed Classic 18cm brown Alpaca Teddy bear by Steiff 027697 for historical archive reference only). 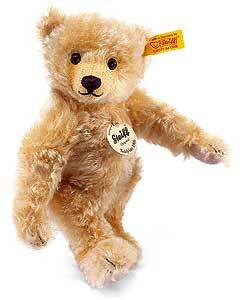 (We have displayed Classic 25cm Golden Blond soft Teddy Bear by Steiff 039652 for historical archive reference only). 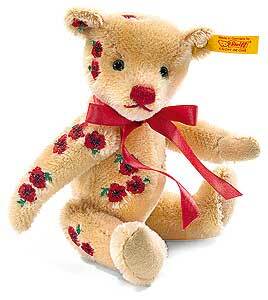 (We have displayed Classic 18cm Wild Rose Teddy Bear by Steiff 039881 for historical archive reference only). 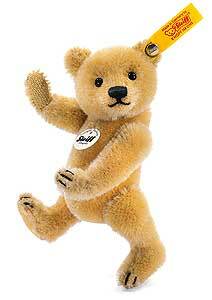 (We have displayed CHARLY 23cm Golden Dangling Teddy Bear by Steiff 012501 for historical archive reference only). 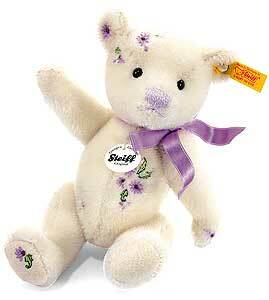 (We have displayed Classic 25cm White Soft Teddy Bear by Steiff 039669 for historical archive reference only). 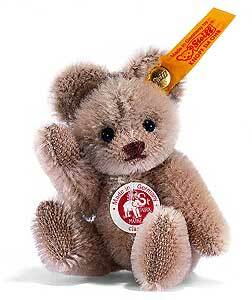 (We have displayed Classic Mr Cinnamon Teddy Bear by Steiff 027031 for historical archive reference only). 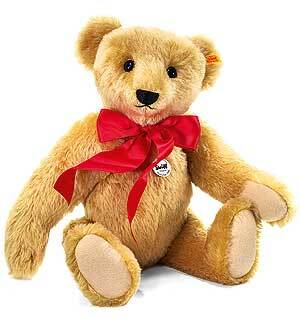 (We have displayed Classic Mr Cinnamon Teddy Bear by Steiff 027048 for historical archive reference only). 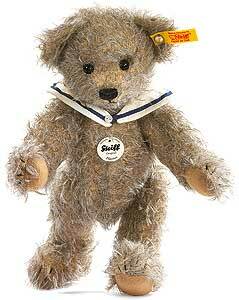 (We have displayed Classic 42cm mohair teddy bear by Steiff 000560 for historical archive reference only). 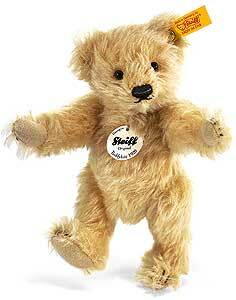 (We have displayed Steiff 1905 Classic 22cm Brass Teddy Bear - 004841 for historical archive reference only). 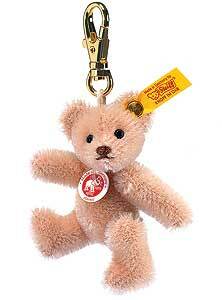 (We have displayed Mohair Teddy Bear Keyring by Steiff 039300 for historical archive reference only). 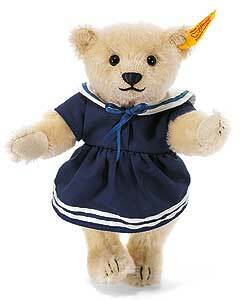 (We have displayed Classic NIKKI Teddy Bear by Steiff 027284 for historical archive reference only). 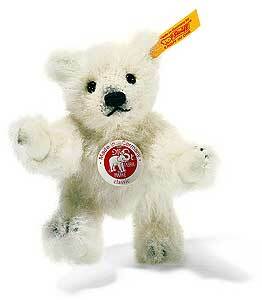 (We have displayed Classic 25cm cream Teddy Bear by Steiff 027635 for historical archive reference only). 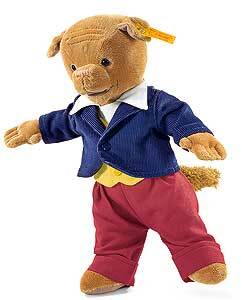 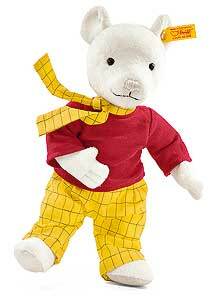 (We have displayed Rupert Bear by Steiff 653551 for historical archive reference only). 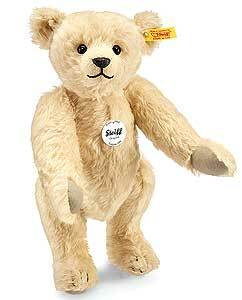 (We have displayed 1920 Classic Large 51cm Blond Teddy Bear by Steiff 000690 for historical archive reference only). 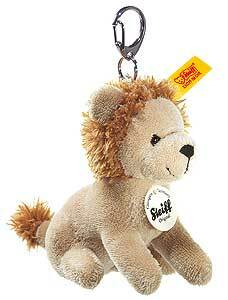 (We have displayed Lion Keyring by Steiff 112058 for historical archive reference only). 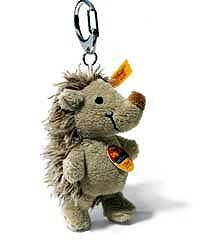 (We have displayed Hedgehog Keyring by Steiff 112164 for historical archive reference only). 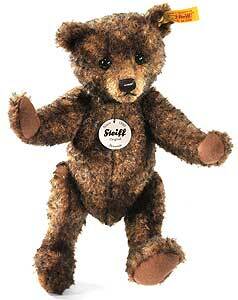 (We have displayed 1909 Classic 35cm brown Teddy bear by Steiff 000447 for historical archive reference only). 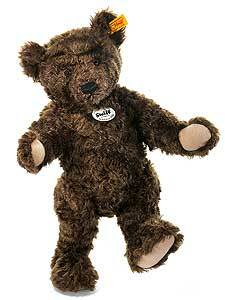 (We have displayed 1909 Classic 35cm Brown Teddy bear by Steiff 000638 for historical archive reference only). 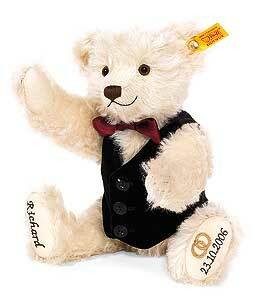 (We have displayed Classic LATTE Macchiato Teddy Bear by Steiff 001017 for historical archive reference only). 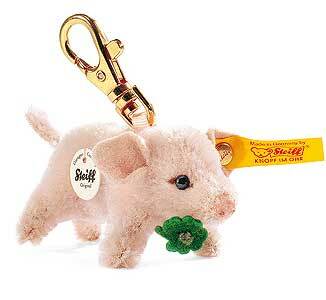 (We have displayed LUCKY Pig Keyring by Steiff 033292 for historical archive reference only). 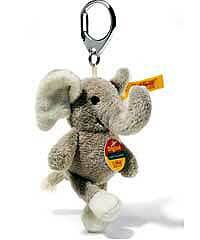 (We have displayed Elephant Keyring by Steiff 112041 for historical archive reference only). 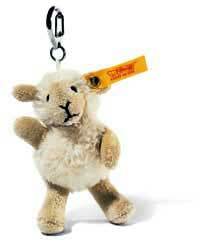 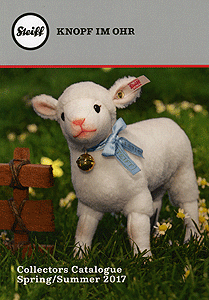 (We have displayed Lamb Keyring by Steiff 112010 for historical archive reference only). 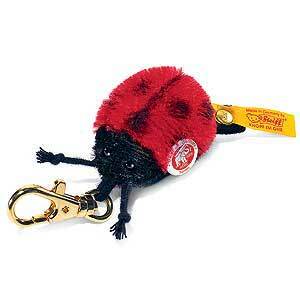 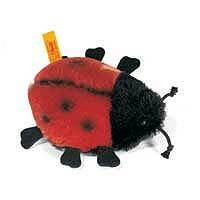 (We have displayed Mohair Ladybird Keyring by Steiff 032820 for historical archive reference only). 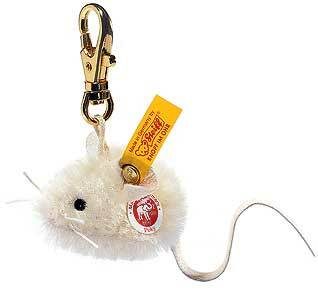 (We have displayed Mohair Peky Mouse Keyring by Steiff 056161 for historical archive reference only). 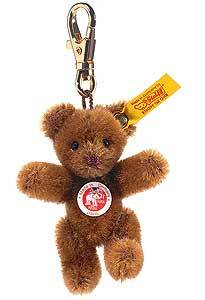 (We have displayed BOBBY Teddy Bear Keyring by Steiff 111594 for historical archive reference only). 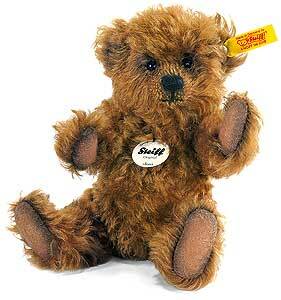 (We have displayed Classic 35cm caramel mohair teddy bear by Steiff 000553 for historical archive reference only). 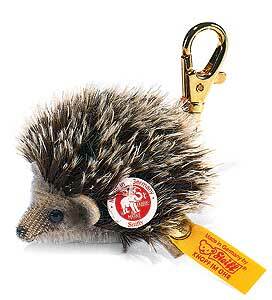 (We have displayed Mohair SNIFFY Hedgehog keyring by Steiff 056031 for historical archive reference only). 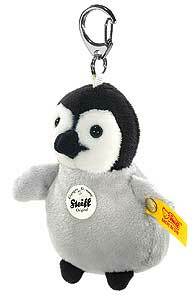 (We have displayed Penguin Keyring by Steiff 112218 for historical archive reference only). 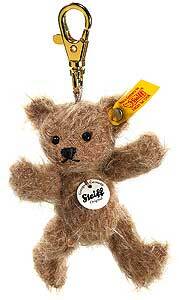 (We have displayed Mohair Teddy Bear Keyring by Steiff 039201 for historical archive reference only). 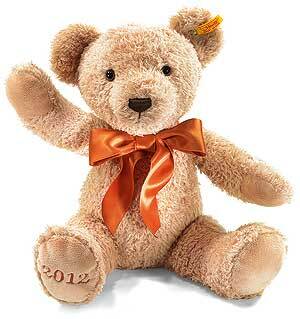 (We have displayed Cosy Year Teddy Bear 2012 by Steiff 664007 for historical archive reference only). 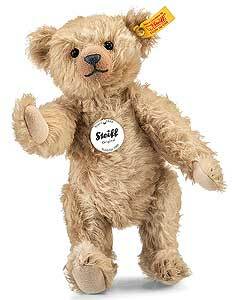 (We have displayed 1909 Classic 15cm blond Teddy Bear by Steiff 040115 for historical archive reference only). 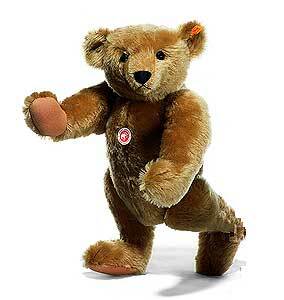 (We have displayed CHARLY 80cm Teddy Bear by Steiff 111358 for historical archive reference only). 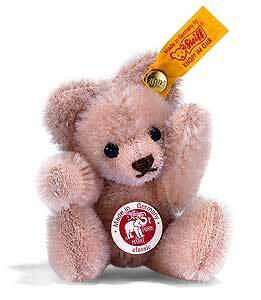 (We have displayed 1908 Miniature Pink Teddy Bear by Steiff 039461 for historical archive reference only). 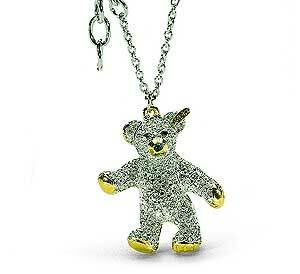 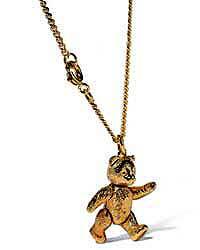 (We have displayed Steiff teddy bear pendant 605154 for historical archive reference only). 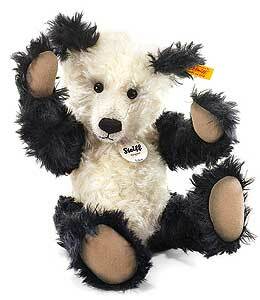 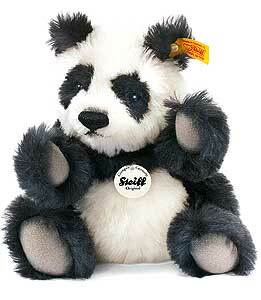 (We have displayed Classic 25cm soft Teddy Bear Panda by Steiff 039645 for historical archive reference only). 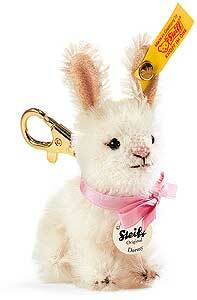 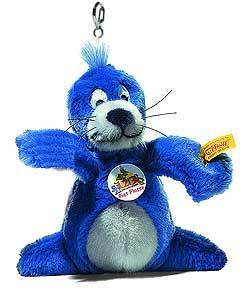 (We have displayed PIET FLOSSE Seal keyring by Steiff 354465 for historical archive reference only). 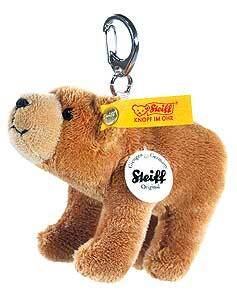 (We have displayed Brown Bear Keyring by Steiff 112065 for historical archive reference only). 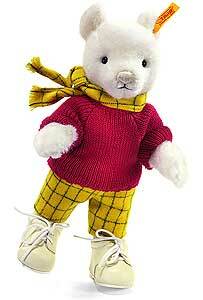 (We have displayed Rupert Bear plush Teddy Bear by Steiff 017018 for historical archive reference only). 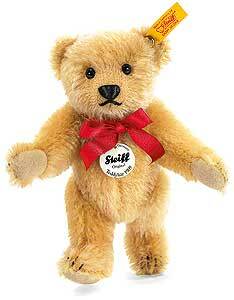 (We have displayed Classic LINDA Teddy Bear by Steiff 027277 for historical archive reference only). 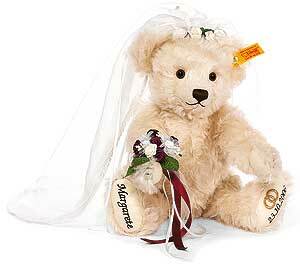 (We have displayed Personalised Teddy Bear Bride by Steiff 001963 for historical archive reference only). 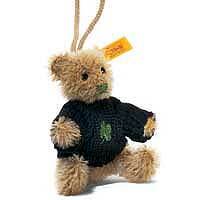 (We have displayed Personalised Teddy Bear Groom by Steiff 001970 for historical archive reference only). 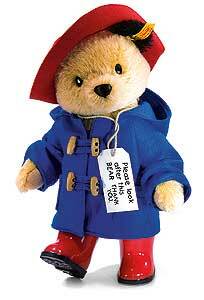 (We have displayed Paddington Bear by Steiff 354731 for historical archive reference only). 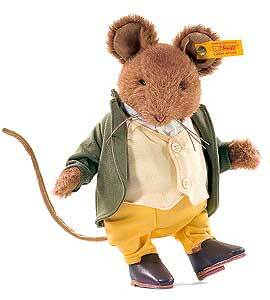 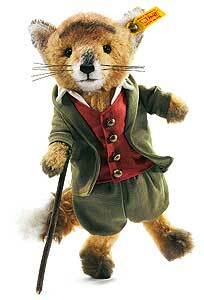 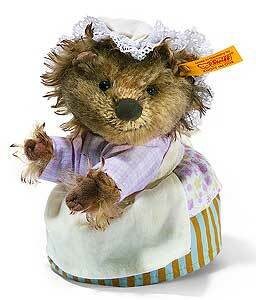 (We have displayed Mrs Tiggy Winkle by Steiff 354762 for historical archive reference only). 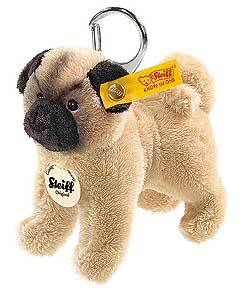 (We have displayed Algy Pug by Steiff 017056 for historical archive reference only). 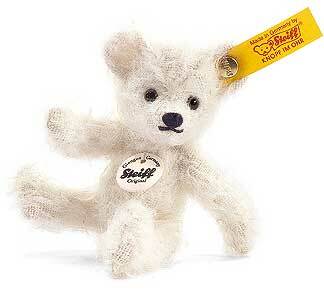 (We have displayed LITTLE DEVIL Mini Teddy Bear by Steiff 039843 for historical archive reference only). 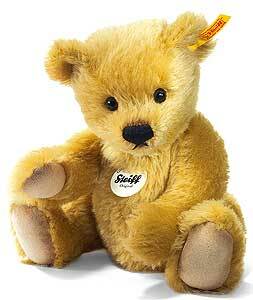 (We have displayed Classic 12cm blond Mini Teddy Bear by Steiff 040047 for historical archive reference only). 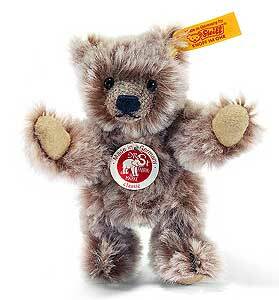 (We have displayed Classic Sand Mini Teddy Bear by Steiff 040078 for historical archive reference only). 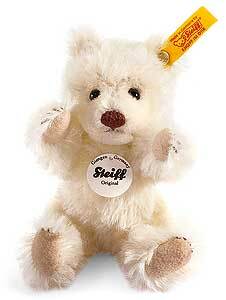 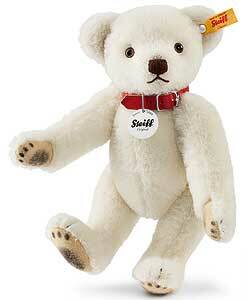 (We have displayed Classic 12cm white Mini Teddy Bear by Steiff 001109 for historical archive reference only). 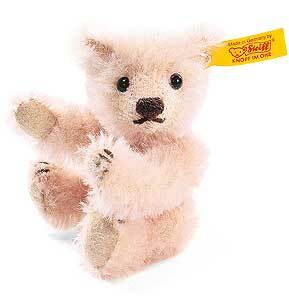 (We have displayed Classic Cinnamon Mohair Mini Teddy Bear by Steiff 040016 for historical archive reference only). 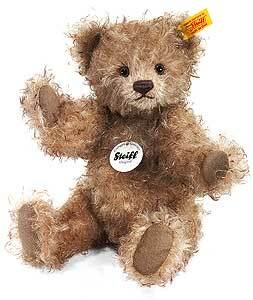 (We have displayed Classic CORETTO 33cm brown/white Teddy Bear by Steiff 663581 for historical archive reference only). 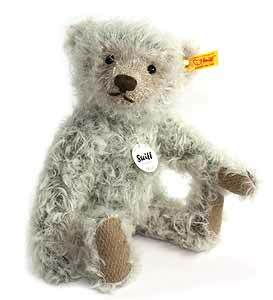 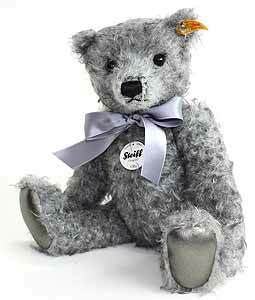 (We have displayed Classic 18cm alpaca Grey teddy bear by Steiff 027727 for historical archive reference only). 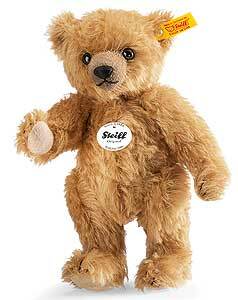 (We have displayed Classic JONA Blond Teddy Bear by Steiff 001055 for historical archive reference only). 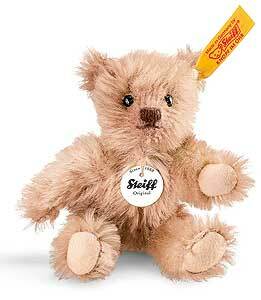 (We have displayed Classic Cappucchino teddy bear by Steiff 001000 for historical archive reference only). 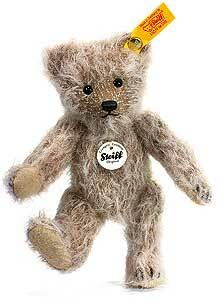 (We have displayed Coffee Mohair Mini Teddy Bear by Steiff 039584 for historical archive reference only). 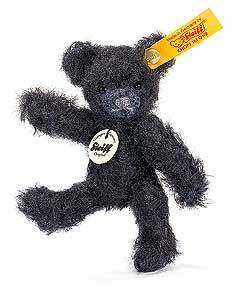 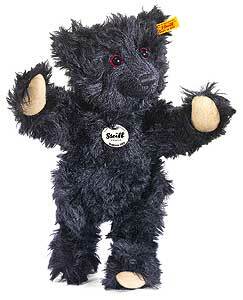 (We have displayed Black Mohair Mini Teddy Bear by Steiff 039621 for historical archive reference only). 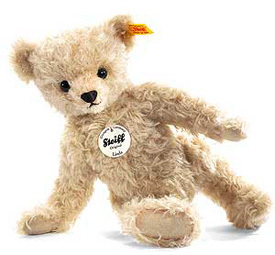 (We have displayed Steiff 1920 Classic 15cm Teddy Bear (blond) - EAN 040108 for historical archive reference only). 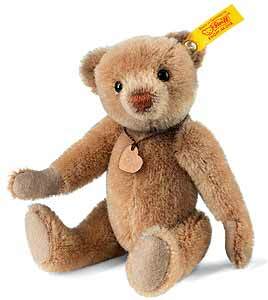 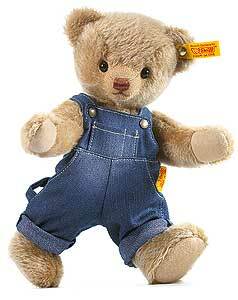 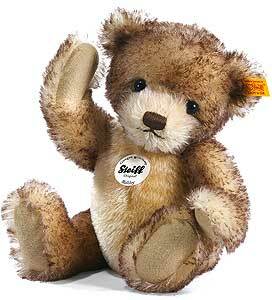 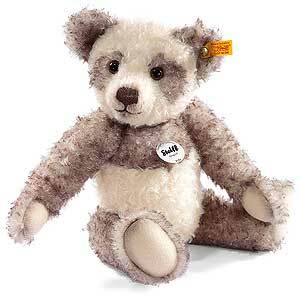 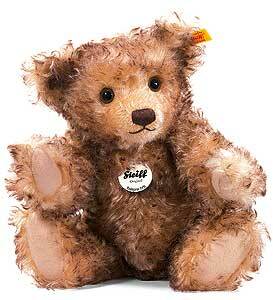 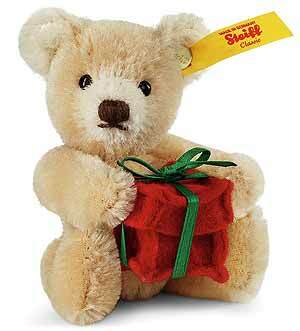 (We have displayed Steiff Classic Mini Teddy Bear (caramel) - EAN 040054 for historical archive reference only). 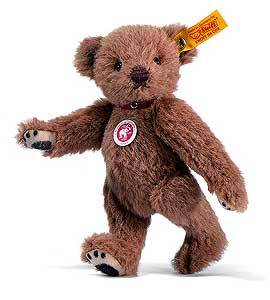 (We have displayed Steiff Classic LUKAS Teddy Bear EAN 027987 for historical archive reference only). 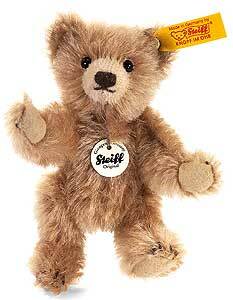 (We have displayed Steiff Gold Mohair Mini Teddy Bear EAN 039591 for historical archive reference only). 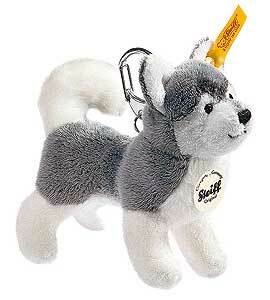 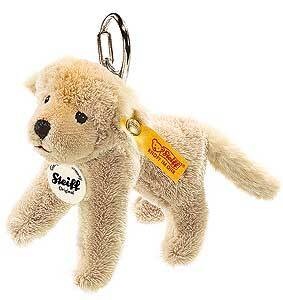 (We have displayed Steiff Husky Keyring 110337 for historical archive reference only). 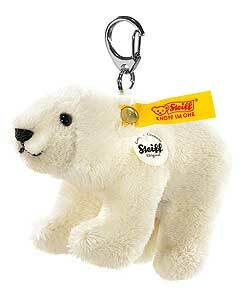 (We have displayed Steiff Polar Bear Keyring - 112195 for historical archive reference only). 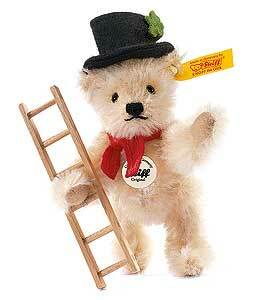 (We have displayed Steiff Chimney Sweep Mini Teddy Bear EAN 033254 for historical archive reference only). 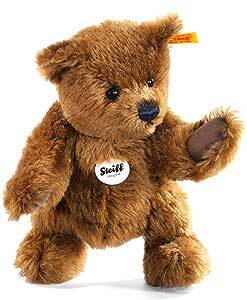 (We have displayed Steiff 1926 Classic 30cm brown tipped Teddy Bear EAN 027994 for historical archive reference only). 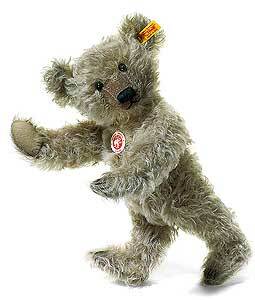 (We have displayed Steiff 1905 Classic 51cm Teddy Bear EAN 004872 for historical archive reference only). 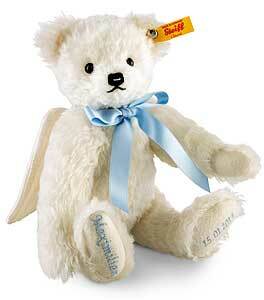 (We have displayed Steiff 1909 Classic 25cm white teddy bear EAN 000591 for historical archive reference only). 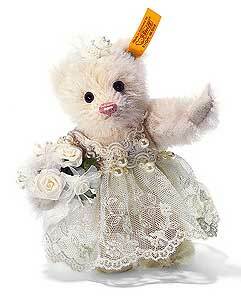 (We have displayed Steiff Classic 12cm Teddy Bear Bride EAN 027970 for historical archive reference only). 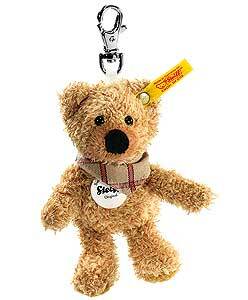 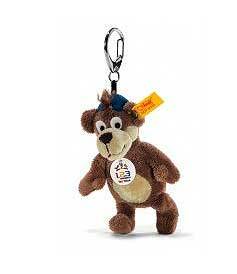 (We have displayed Steiff Cosy Friends Keyring Teddy bear 110153 for historical archive reference only). 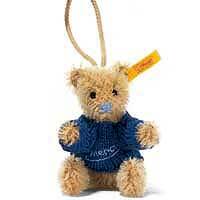 (We have displayed Steiff Rose Mini Teddy Bear Keyring 039102 for historical archive reference only). 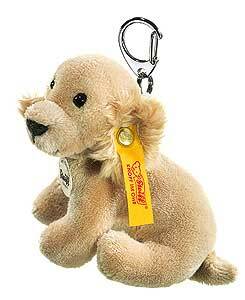 (We have displayed Steiff Pug Keyring EAN 110290 for historical archive reference only). 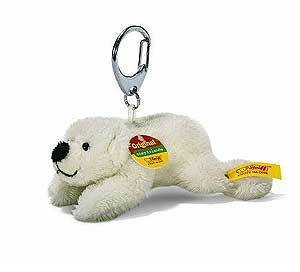 (We have displayed Steiff FLOCKE Polar Bear Keyring EAN 113192 for historical archive reference only). 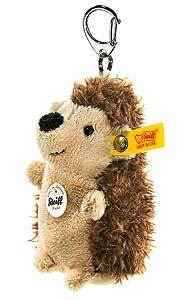 (We have displayed Steiff Cosy Friends Keyring Hedgehog 110276 for historical archive reference only). 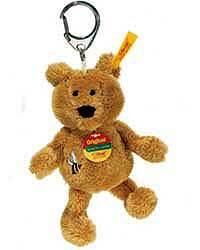 (We have displayed Steiff Cosy Friends Keyring Teddy bear 110139 for historical archive reference only). 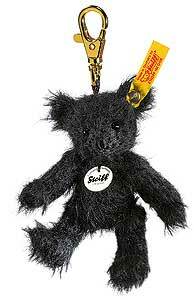 (We have displayed Steiff mohair teddy hanger 027840 for historical archive reference only). 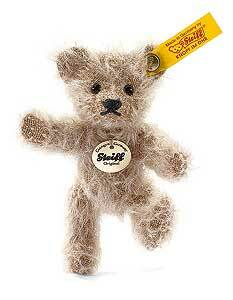 (We have displayed Steiff Mohair Teddy Bear Pin 420818 for historical archive reference only). 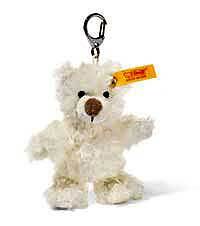 (We have displayed Steiff Polar bear keyring 111150 for historical archive reference only). 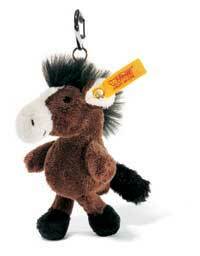 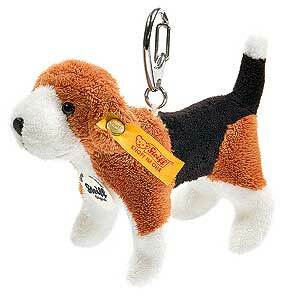 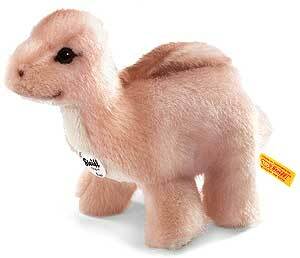 (We have displayed Steiff Cosy Friends Keyring Pony 110184 for historical archive reference only). 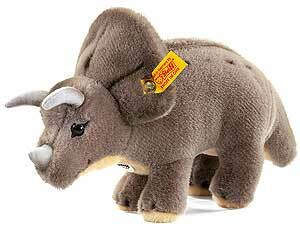 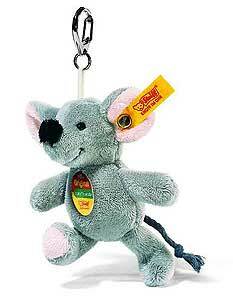 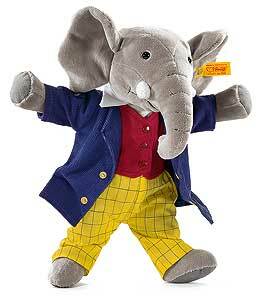 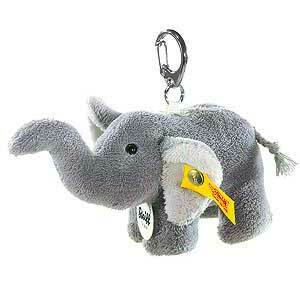 (We have displayed Steiff Cosy Friends Keyring Elephant 110283 for historical archive reference only). 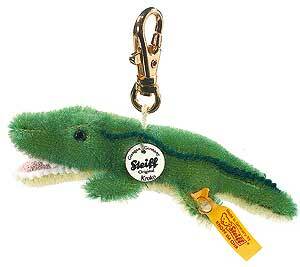 (We have displayed Steiff KROKO Crocodile Keyring EAN 056048 for historical archive reference only). 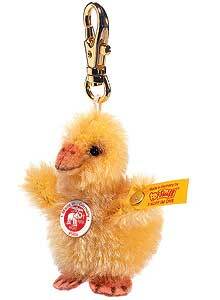 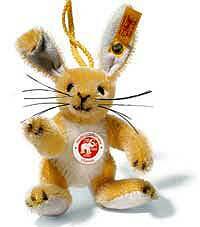 (We have displayed Steiff Blond DORMY Rabbit Keyring EAN 032578 for historical archive reference only). 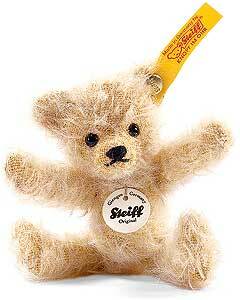 (We have displayed Steiff Mohair Gold Mini Teddy Bear 039263 for historical archive reference only). 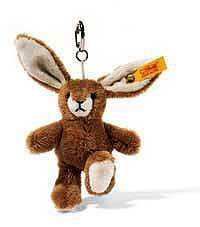 (We have displayed Steiff Cosy Friends Keyring Rabbit 110207 for historical archive reference only). 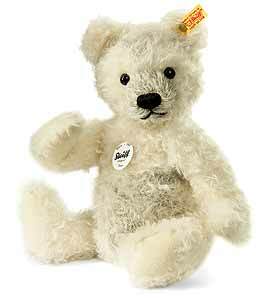 (We have displayed Steiff Classic White Teddy Bear EAN 039973 for historical archive reference only). 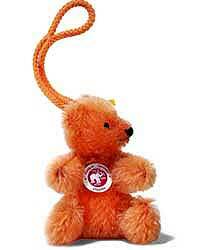 (We have displayed Steiff Fox Red Mohair Mini Teddy Bear 039348 for historical archive reference only). 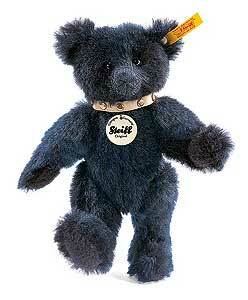 (We have displayed Steiff Swarovski Pendant 605697 for historical archive reference only). 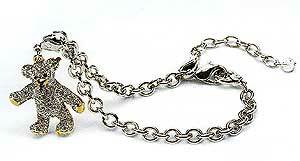 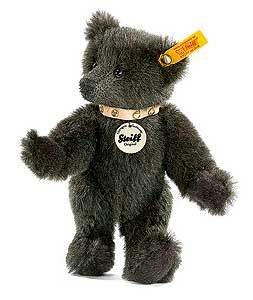 (We have displayed Steiff Swarovski bracelet 605703 for historical archive reference only). 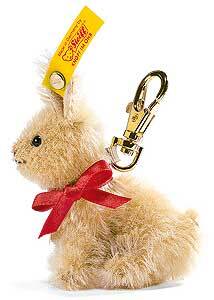 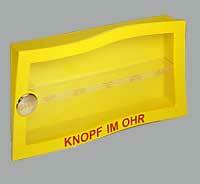 (We have displayed Steiff mohair bunny hanger - yellow/white 032530 for historical archive reference only). 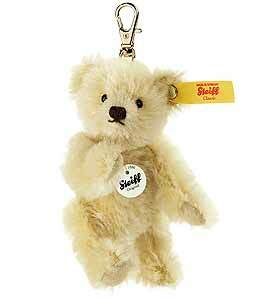 (We have displayed Steiff mohair teddy hanger 027895 for historical archive reference only). 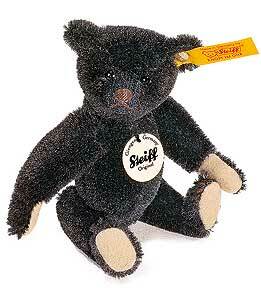 (We have displayed Steiff Coffee Mohair Mini Teddy Bear 039256 for historical archive reference only). 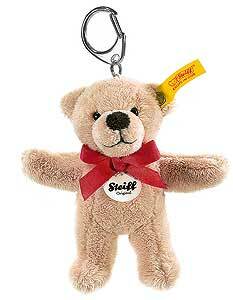 (We have displayed Steiff Cosy Friends Keyring Teddy bear 110160 for historical archive reference only). 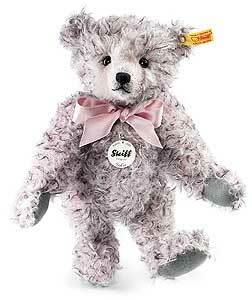 (We have displayed Steiff Mohair Pink Mini Teddy Bear 039294 for historical archive reference only). 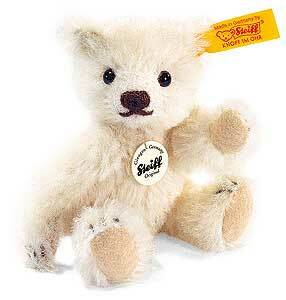 (We have displayed Steiff White Mohair Mini Teddy Bear 039607 for historical archive reference only). 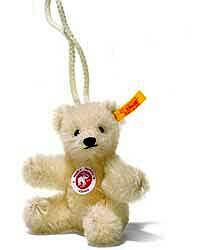 (We have displayed Steiff mohair teddy hanger 'merci' 028243 for historical archive reference only). 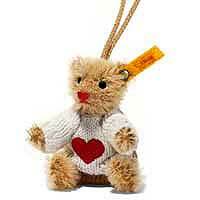 (We have displayed Steiff mohair teddy hanger 'heart' 028212 for historical archive reference only). 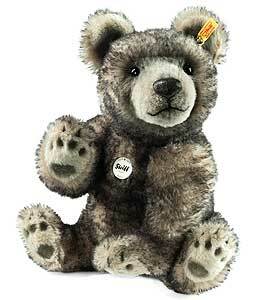 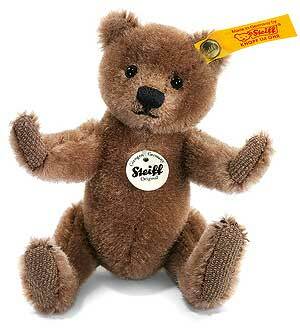 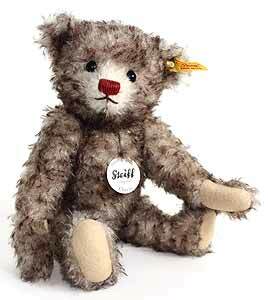 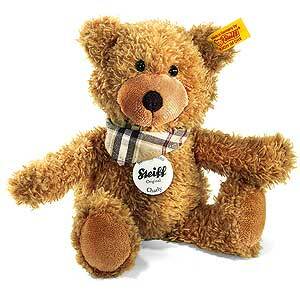 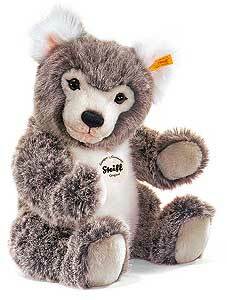 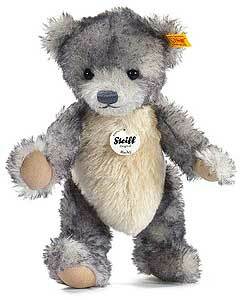 (We have displayed Steiff Mini Grizzly Ted 039430 for historical archive reference only). 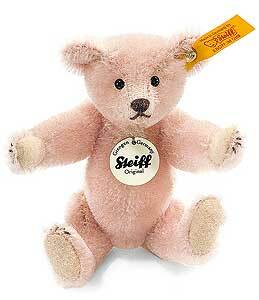 (We have displayed Steiff Classic Pink Teddy Bear EAN 039966 for historical archive reference only). 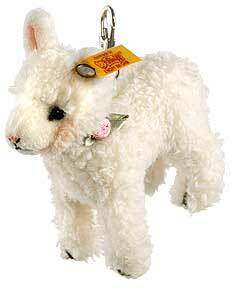 (We have displayed Steiff mohair teddy hanger 'Cloverleaf' 028229 for historical archive reference only). 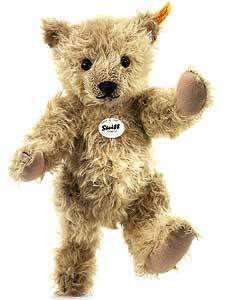 (We have displayed Steiff Sand Mohair Mini Teddy Bear 039638 for historical archive reference only). 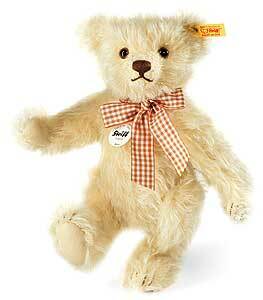 (We have displayed Steiff Classic Blond Teddy Bear EAN 039959 for historical archive reference only). 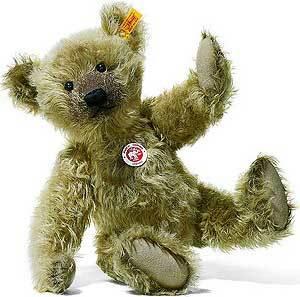 (We have displayed Steiff Green Mohair Mini Teddy Bear 039270 for historical archive reference only). 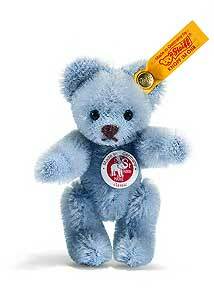 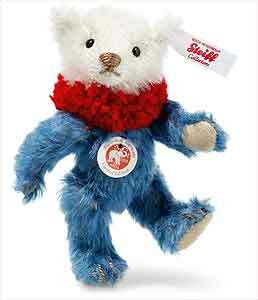 (We have displayed Steiff Blue Mohair Mini Teddy Bear 039287 for historical archive reference only). 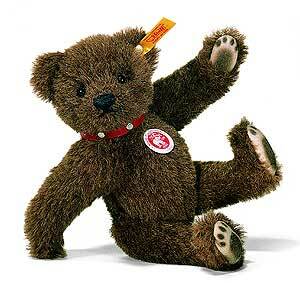 (We have displayed Steiff Mini Moon Ted 039447 for historical archive reference only). 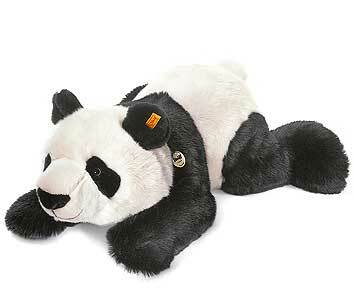 (We have displayed Steiff 60cm MANSCHLI Panda 064814 for historical archive reference only). 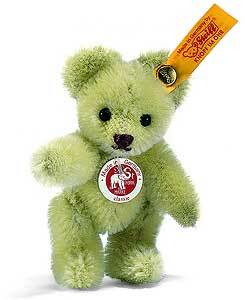 (We have displayed Steiff 1908 Miniature Green Teddy Bear 039485 for historical archive reference only). 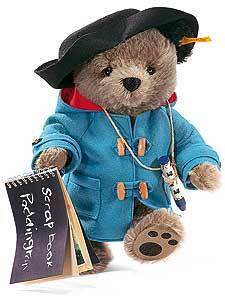 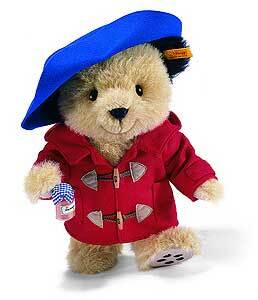 (We have displayed Steiff Classic Paddington Bear 354694 for historical archive reference only). 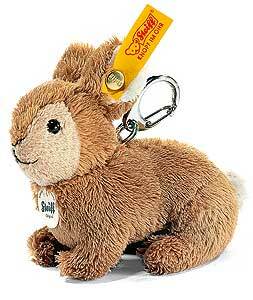 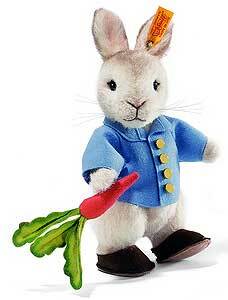 (We have displayed Steiff Benjamin Bunny 354786 for historical archive reference only). 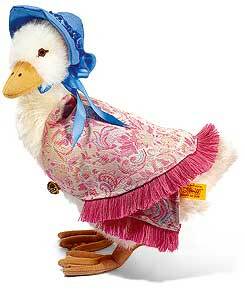 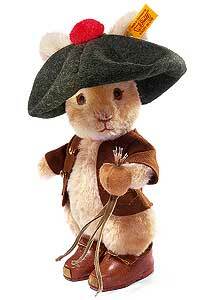 (We have displayed Jemima Puddleduck by Steiff 354779 for historical archive reference only). 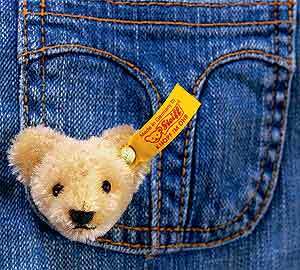 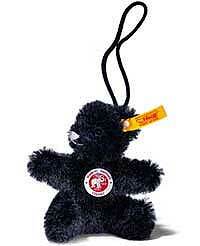 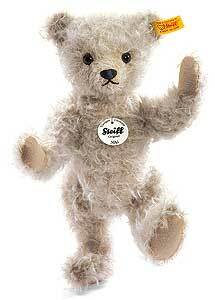 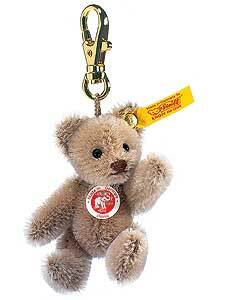 (We have displayed Steiff TED TATZE Bear keyring 354472 for historical archive reference only). 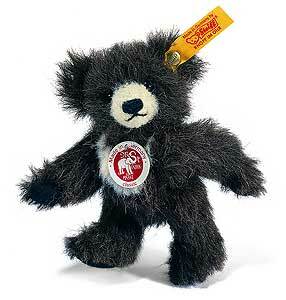 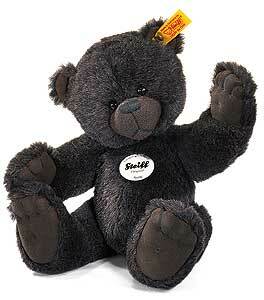 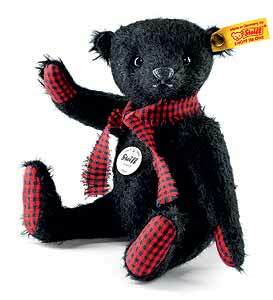 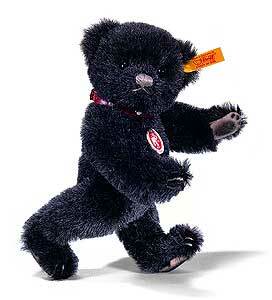 (We have displayed Steiff Classic Black Mini Teddy Bear EAN 039980 for historical archive reference only). 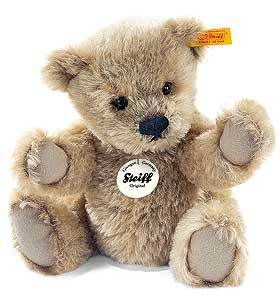 (We have displayed Steiff CONGRATULATIONS Mini Teddy Bear EAN 039867 for historical archive reference only). 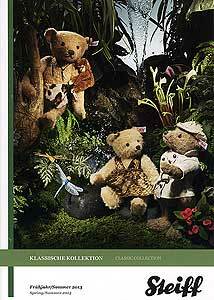 (We have displayed Steiff Autumn 2015 Collectors Catalogue 914454 for historical archive reference only). 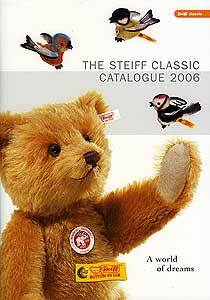 (We have displayed Steiff Autumn/Winter 2009 Catalogue 906749 for historical archive reference only). 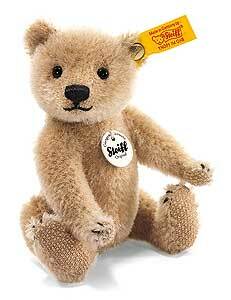 (We have displayed Steiff Spring/Summer 2008 Catalogue 906527 for historical archive reference only). 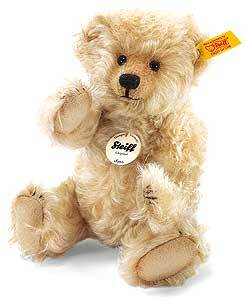 (We have displayed Steiff Spring 2013 Classic Catalogue 908484 for historical archive reference only). 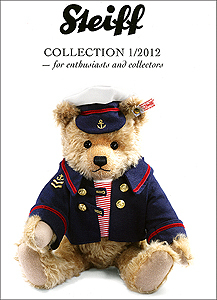 (We have displayed Steiff Spring 2012 Collectors Catalogue 907142 for historical archive reference only). 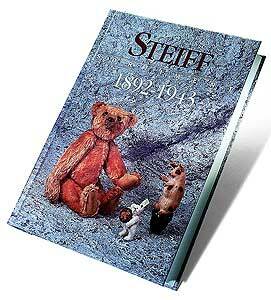 (We have displayed Steiff Sortiment Reference book 1892-1943 - 610202 for historical archive reference only). 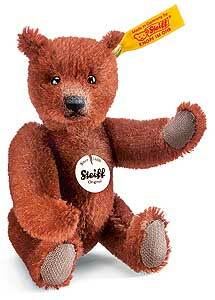 (We have displayed Steiff 2006 Catalogue - classic 906534 for historical archive reference only).